Conceive of a pallet display structure meeting the specifications of Costco Wholesale Inc. to showcase a selection of product-cards. 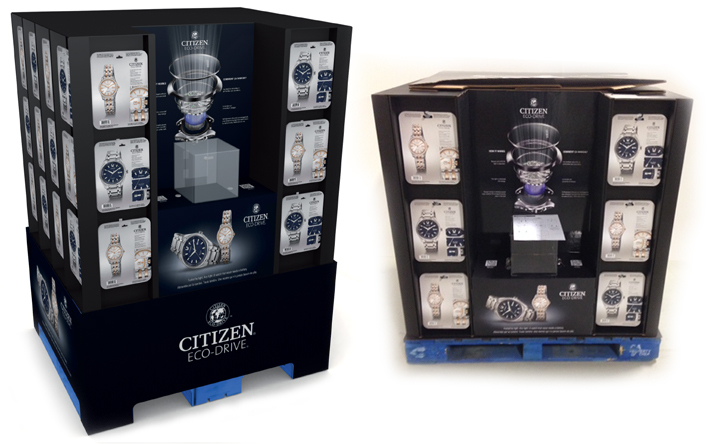 Strategically design a pallet structure allowing an easy access to the product cards and serving as an important marketing tool, since the product would only be seen when remitting the card at time of purchase. The impact on sales was immediate. Costco Wholesale Inc. is now proposing this type of structure to other product suppliers.